Why retire? So says Attorney Jack Borden, who is in his law office at 6:30 every morning, doing what he loves – practicing law. Recently, Borden celebrated his 101st birthday, being named ‘America’s Outstanding Oldest Worker for 2009,’ by Experience Works. 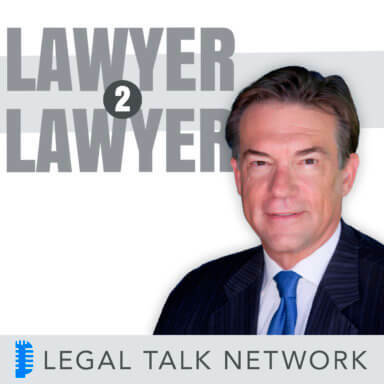 Now he is the special guest on this edition of Lawyer2Lawyer with co-hosts and attorneys, J. Craig Williams and Bob Ambrogi , who discuss the gamut with Borden, senior partner at Borden & Westhoff, LLP. Hear his vivid stories from the past century about the legal profession, tips for young lawyers and his secret to longevity.